It’s not enough to text or email. It’s not even enough to telephone. It’s face-to-face encounters that show the beneficial impact of reducing depression in the elderly. Clinicians should consider encouraging face-to-face social interactions as a preventive strategy for depression. That offers enormous challenges for those of us separated by considerable distance from our family loved ones. It’s a challenge though that we must find ways of meeting. In a world now so dominant in electronic communication, face-to-face remains the best way to communicate, as a means for maintaining mental wellbeing in the elderly. 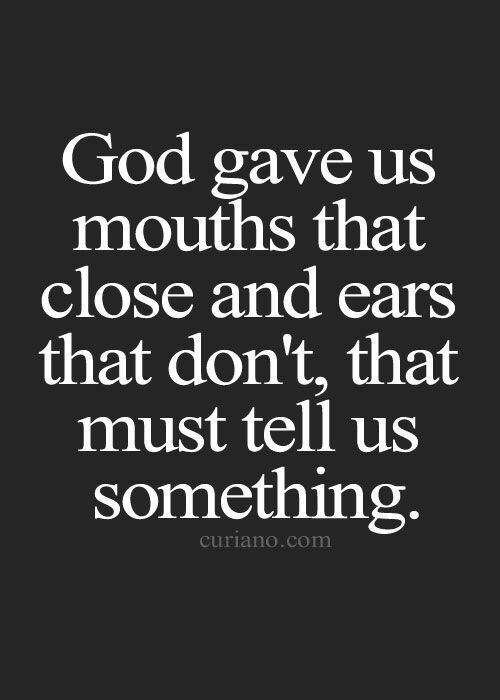 If we were meant to #talk more than #listen, we would have two mouths and one ear. Find time today, and every day for that matter, to listen. That’s not listen with an answer to give. That’s listen with a message to hear. The person that you truly listen to will find it immensely valuing; you might just discover something that you didn’t know either!